The apartment is newly renovated since 2010 and is located on two floors. 40 square meters for 2 people max. 3 persons. The ground floor of the living room is a pull out couch. Satellite - TV, DVD. One open kitchen, two burner stove, refrigerator, coffeemaker, table with 4 chairs. In the first floor is the bedroom with a double bed. Bathroom with shower / WC. 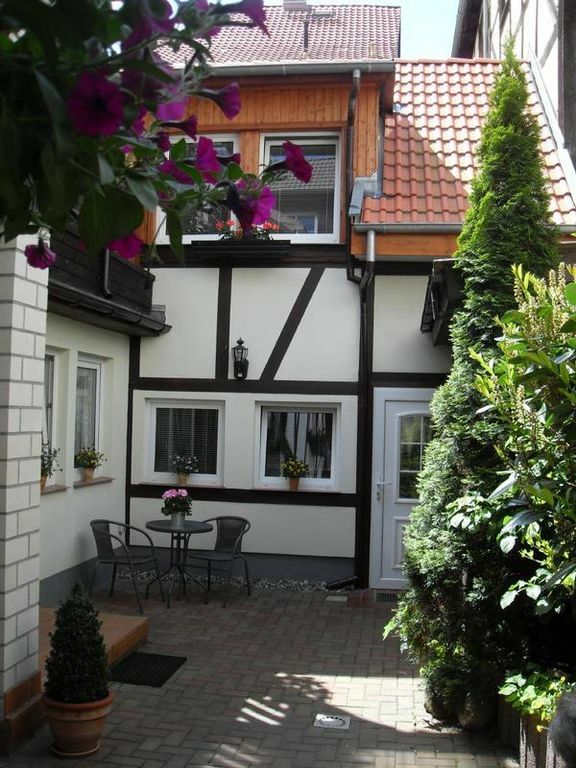 A holiday with many possibilities in Bad Doberan! Bad Doberan is a town that is centrally located between the resorts Kühlungsborn, Heiligendamm and Warnemünde, which can be reached via a good bike and hiking trails. The beach, the "white city by the sea", is just 6 km away. The Hanseatic cities of Rostock, Wismar and Stralsund can be reached quickly by train, because the train station is just 500 meters away. The apartment is located directly on Kamp. The Kamp is a park which is centrally located in the town of Bad Doberan. From here you can reach everything on foot. Attractions, shopping, the Mollistadtion to the beach. Between Bad Doberan and Heiligendamm, about halfway down the track, is Germany's oldest racecourse. Bad Doberan is known for the mud bath and the monastery church "Munster". The Doberan Minster was founded in 1171 by Cistercian monks. The old town of Rostock is another attraction in the area. A district of Rostock is Warnemünde, that was formerly a fishing village. There are many small streets, where the houses have been lovingly restored. At the "Mole" you will find many small restaurants and shops. - Local tax / tourist tax: according to consumption (mandatory). - Pet: per object and day costs of 5 EUR (compulsory). - Parking: per object and day according to consumption (obligatory).